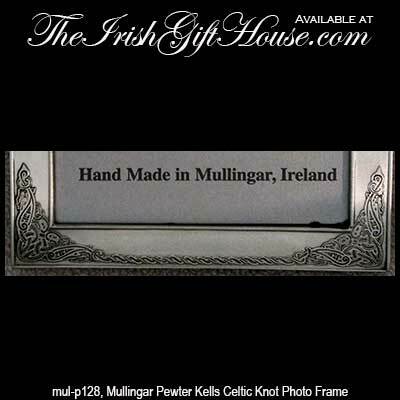 This pewter picture frame features the Kells Celtic motif and it would make an ideal Irish wedding gift. 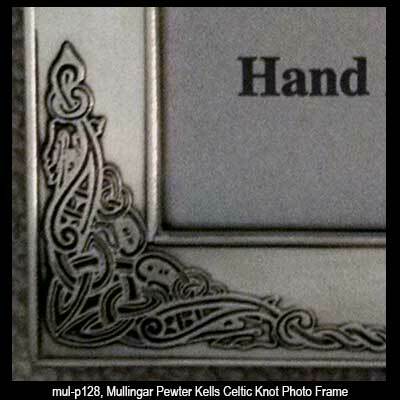 The Kells picture frame features embossed Celtic knot-work on fine pewter. 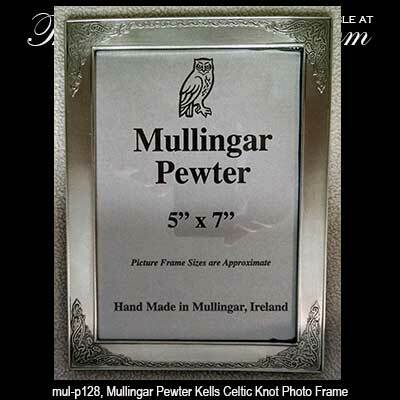 The pewter Celtic frame measures 6 1/2" wide x 8 1/2" tall and it holds a 5" x 7" photo. This Celtic picture frame has an attached easel for standing and it is made in Ireland by Mullingar Pewter.